Add the frozen peas to the bowl and program 3 minutes/90°C/speed 5-10 (just increase gradually as the temperature drops). By the end of this time, you should have a smooth soup at 60º which, for me, is the perfect serving temperature for a hot soup. Mixing it up with Thermomix!! Non-fried "Fried Rice"
Chicken, Spinach, Pea and Broccoli Risotto. This is the first risotto I’ve attempted in the Thermomix. Whenever I’ve made risotto on the stove, I always try to pack a lot of vegetables into it – and the challenge with the Thermomix is fitting it all in the bowl! Dinner Idea – Make a quick mushroom or pumpkin risotto in your Thermomix. Whilst cooking place spinach leaves, frozen peas (defrosted by running under hot water) and shredded chicken in the bottom of your Thermoserver. Pour hot risotto on top and let it rest for five minutes. This will be enough time to heat through the chicken and peas. A simple dinner. 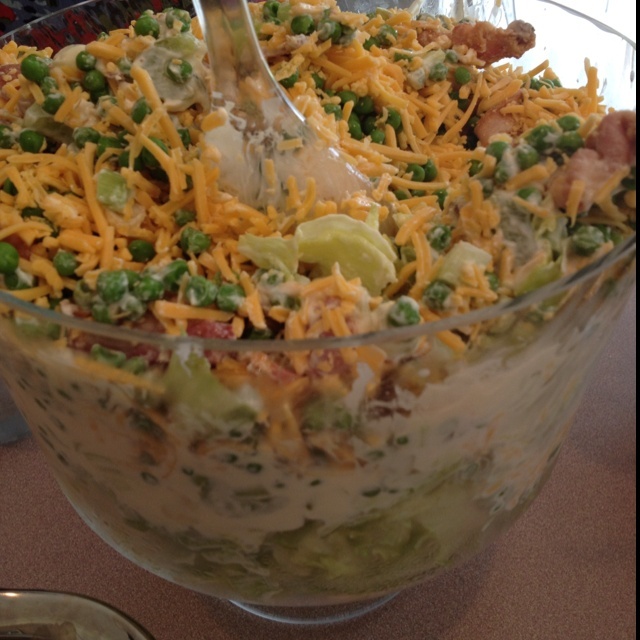 Add the frozen corn and peas and mix on Reverse, Speed 3, 10 seconds. Pour the cooked pasta into a large casserole dish. Pour over the creamy mixture and mix through well.